Daniels Worldwide has over twenty years experience in import and distribution of products from China to American customers. Scheduling sea and air shipments to U.S. ports. Scheduling deliveries to American distribution centers, warehouses, and customers. Managing delivery to customers through our company owned distribution centers and distribution center services partners. We can help you delivery products to American buyers quickly and efficiently. Contact us with you specific requirements for a quote. As a business, when you gain visibility-you gain credibility which creates goodwill for your brand. Public relations includes the creation and distribution of information, primarily in the form of stories, published or broadcast by mass media such as newspapers, magazines, television and radio. A well run Public Relations program has multiple benefits and can have a far greater impact than other marketing methods because it carries a message of implied endorsement by the media. 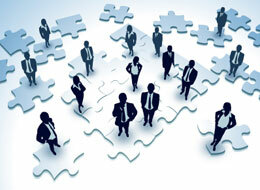 Public Relation Services is an economical way to reach your target audience in masses. It stimulates awareness of your company’s products and services, and strengthens your company’s image and perception. Our organization has over thirty years of direct American trade show experience. Researching and identifying productive trade shows by industry. Contacting show management and securing booth space. Designing support marketing programs – email, print materials, and trade show listings. Contracting and scheduling delivery, set up, and tears down of trade show exhibits. Scheduling trade show booth sales personnel and outside sales agents. We can prepare a quote for trade show services based on your companies’ specific requirements. © 2019 Daniels Worldwide Management. All Rights Reserved.